The property is a kilometre away from Sindhi camp metro station and Jaipur railway station, offering a trendy way to stay for a party of two looking to put a twist on their visit to the Pink City. 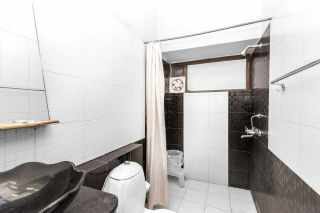 The amenities on offers also include a caretaker, free parking space if you’re on a road trip, and a driver to take you sightseeing. 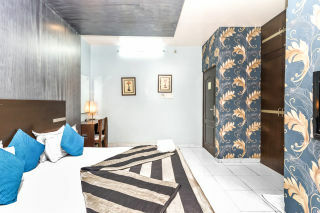 Your space The property has been decorated keeping a snazzy standard in mind, evident through its glass facade exterior and an eclectic interior decor. 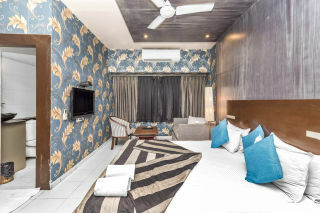 The bedroom is sectionally decorated with a beautiful floral wallpaper and a false ceiling overlooking the bed, fitted with recessed lighting, dramatically enhancing the look and feel the room with unconventional hues. 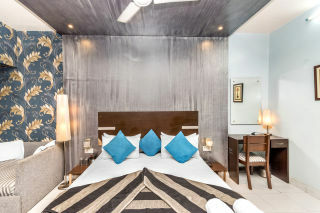 The room has a plush double bed, writing desk and chair, a sitting area with a loveseat, club chair, a TV, along with a tiled and functional en-suite washroom. Head to the in-house bar for a drink or two. 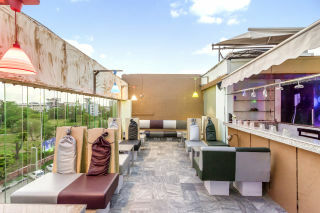 To satiate impromptu cravings and to cater to your usual meal requirements, you can visit the in-house restaurant segregated by its modern and ethnic decor, which is a technicoloured visual delight. 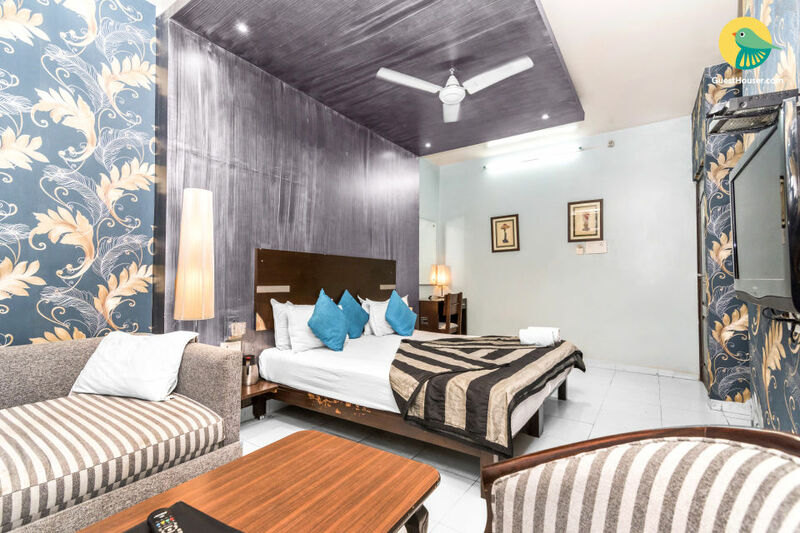 You will also enjoy spending time in the fully air-conditioned common sitting area that is dolled up with an assortment of cool and funky furniture.